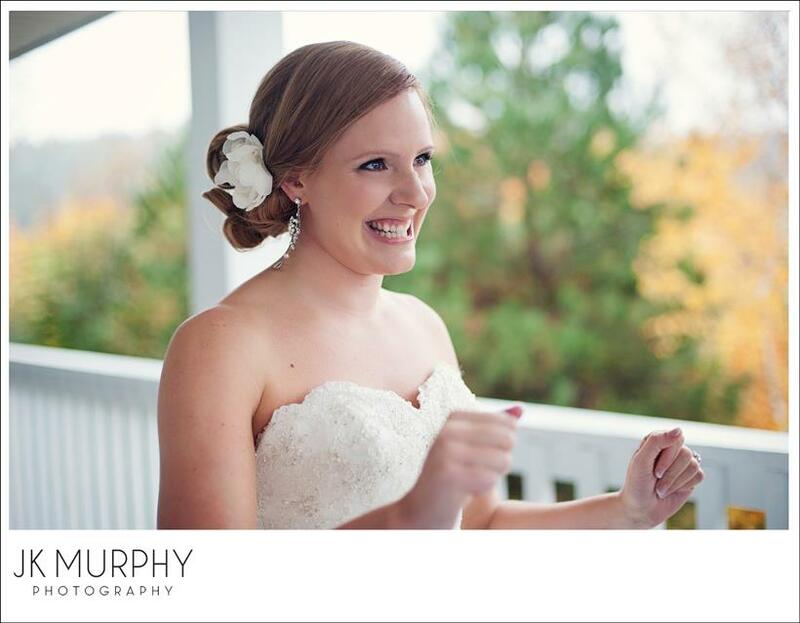 Photo: JK Murphy Photography – My client and the bride, Holly Owens, on her wedding day. Last fall, I was approached by a bride-to-be to help her design her wedding. Up to that point, I’d quite deliberately avoided wedding design or wedding events; I was happy with the artistic direction of corporate events or art-related galas. But Holly was so charming (displaying none of the warning signs of a potential ‘bridezilla’) that I decided to make an exception to my ‘no weddings’ policy. As you’re probably aware, Pinterest has taken the world by storm. However, if you are like me (and thousands of others) it is really tricky figuring out how to take those stunning images in the design boards and make them a reality; a challenge both in terms of budget and accessibility. This blog features the creation of a wedding, but the same concepts and ideas can be used for any event you may wish to design yourself: corporate functions, fundraising galas, anniversary parties, or simply designing a special table for two. Photo: Pinterest board – The third board proved to be especially useful: the colour palette on the bottom of the board served as a springboard for my design concept for Holly. 1. Virtually everything was expensive! 2. Trying to source items such as the French provincial dinnerware set or the blue upholstery chairs for rental would be impossible in a small city like Saint John, New Brunswick. 3. Where would you find a venue that had beautiful, high, distressed ceilings, and chandeliers? So, I chose to concentrate on the items I knew Holly was drawn to: Romantic fonts, golds, navies, French provincial, and an overall romantic, yet modern, feel. The selection of materials above was sourced from Fabricville, for what would ultimately serve as double-layered table runners. Pick your tablecloths: I wanted a mix of the silver and the gold as base tablecloths. We rented ours through our friends, Barbara Lee Designs. I then placed various runners over them so that each table would be entirely unique. Now that you have chosen your materials, determine the number and sizes of the tables needed. How many guests will be at your event? How many will sit at each table? This will help you decide the width and lengths of each or your runners and how much fabric you will need. Mix and match your fabrics. Decide which combinations will go on what tablecloth; i.e., which fabrics will be the wide and which the narrow runners. 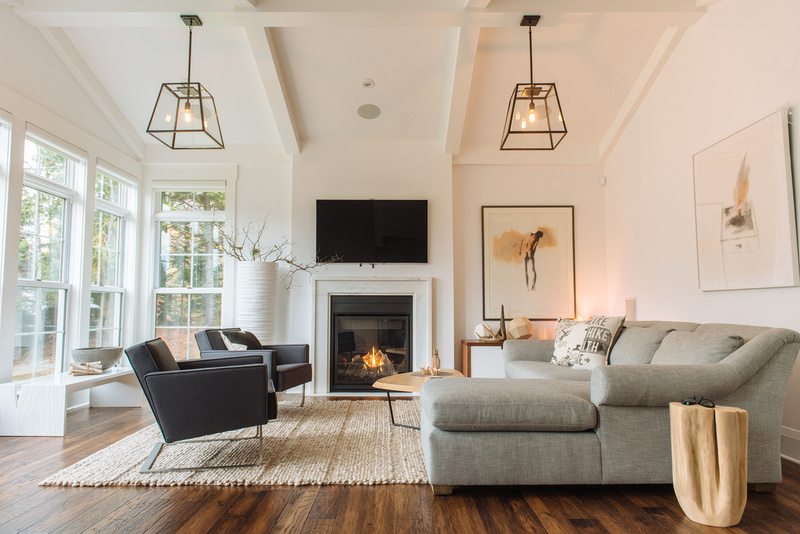 With reference to your table and room layout, determine what combinations go where. Note: they do not need to be placed in any particular order or pattern (the textiles and colours will make it all look uniform). Photo: JK Murphy Photography – here you can see how we placed a large navy runner as a base, with a silver sparkly grey runner on top and a silver tablecloth underneath. Photo: JK Murphy Photography – Here, on the gift table, is another example of a gold large runner as a base, with a damask navy runner on top. Photo: JK Murphy Photography: Keeping the napkins and the chair sashes all in navy allows for a certain variety within a proscribed range of colours/textures; you can mix up the silver, gold and decorative textiles throughout the rest of the room and still maintain a sense of coherence. Photo: Judith Mackin – The head table featured four materials. The base tablecloth, in navy, spanned all the way across the 20 foot table, with a long gold wide runner with a narrower navy blue damask laid on top. The vertical handmade lace runners run in the opposite direction. Cut your various runners to size. Hem each of the runners along the sides and the ends. *A helpful time-saving tip: Choose fabrics that don’t need to be hemmed (fabrics that won’t fray). Fabrics like the lace, damask, and the sparkly one we used can be left with a cut edge. You don’t have to use your fabric as a conventional runner on every table. As mentioned above, the lace does not fray and can be left with a raw edge. For the cake table, the lace was cut into a circle and used on a round table. Once Holly approved the materials, we used these as the ‘next step’ in terms of creating matching wedding invitations. STEP 5: DIY Invitations – With a DIY invitation, you aren’t limited to the wording, font and layouts of someone else. We worked with a graphic designer Jessica Rhaye to take the elements and colors of the wedding and incorporate them into Holly’s very own wedding invitation. Invitation: produced on linen card stock. Printing by Alan England, in Color inc.
RSVP card (front) – Linen card stock also, with a nice twist – the back of the card (below) is an image of the scanned material that would be seen at her wedding later on. Here is another example of how the design was implemented as table markers. These are very fun! Photo: Judith Mackin This is the Tord Boontje Garland lamp (it comes packaged flat – it’s designed to go around a light bulb). However, we cut it up and used pieces in the invites, in the floral arrangements, the seating plan and some on the bride’s and groom’s place setting. Photo: Note the small individual piece of garland that was individually placed in each invite. Photo: Judith Mackin/instagram – a small spray of the Tord Boontje placed in each of the table centerpieces. Photo: JK Murphy Photography – Flowers by Sandra Miller Floral Designs. Also pictured here is a different version of the handmade table runners: gold base with French provincial wide runner and silver skinny runner. Using a dozen white metal lanterns generously donated by another bride from her wedding, we spray painted them gold (make sure you do this in a well ventilated area). Photo: JK Murphy Photography – *For a bit of novelty/drama, tip your lantern over on a table and have flowers flowing out. Flowers by Sandra Miller Floral Designs. Turn some of your extra fabric into a throw pillow. This way, a vital part of your special event lives on in your home decor. Use some of the extra fabric from your runners, large enough for an 11” x 20” pillow insert in this case. Put the fabric’s right sides facing one another and sew along the edges leaving a ¼-inch seem allowance. Turn your pillow right side out, stuff it, and then hand stitch the open end. Sarah Tapley made this pillow. As an added flourish, create a personalized tag. In this case, we stitched Holly and Jeff’s wedding date on it. Thank you to Holly and Jeff Owens for the opportunity to work with you on your wedding! Photo: JK Murphy Photography – Jeff and Holly Owens on their wedding day.